Leicestershire has recently been attracting fresh eyes after the discovery of Richard III's body. If you are one of the travellers who have had their interest renewed, you can also expect to find Roman ruins, some exquisite Elizabethan castles and stately homes, and some bomb damaged industrial centres. 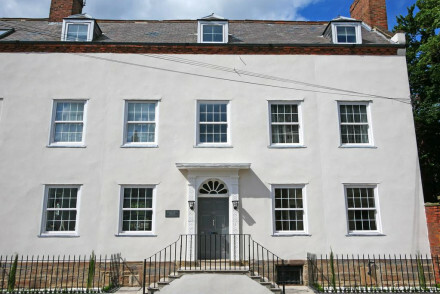 Aside from the Roman ruins, you can find examples of the best places to stay in Leicestershire in all of these! Among Leicestershire's other large centres are Melton Mowbray - famous for pies and Stilton cheese, Market Harborough - known for its market centre, schools and fox hunting, and Loughborough, a market town known for textiles and is now a university town. Outside the towns you'll find the Bosworth Battle Heritage Centre, a family nature centre called 'Conkers', a number of stately homes and plenty of green belt and forest to explore. Leicestershire borders peaceful Rutland to the east with the lovely views, walks and wildlife of Rutland Water only about 20 minutes from Leicester. The National Space Centre is a wonderful place for a fun family day out. Leicester was actually one of England's oldest cities, founded, like London, by the Romans. You can see the remains of the Roman Bath House at the Jewry Wall Museum near the centre of town. The oldest surviving building is a 12th century church called St. Mary de Castro, which, as you might guess from the name, stands within the grounds of the ruins of Leicester Castle - this is the church in which Geoffrey Chaucer was married in 1336. Leicester Cathedral is also worth a visit, as is the new Richard III Visitor Centre. There is a wide range of accommodation in this county, but our pick of the best places to stay in Leicestershire embodies country house luxury. For those not necessarily looking for such grandeur, you'll find smaller guesthouses, B&Bs and coaching inns. 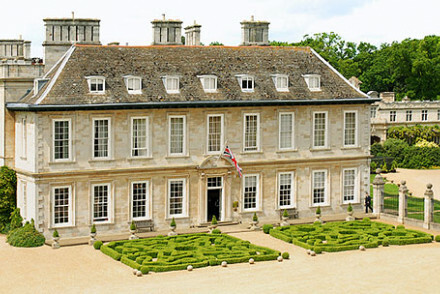 Stapleford Park is a huge Georgian county house hotel and sporting estate near Melton Mowbray. Both the rooms and public spaces are vast - grand affairs with huge windows and furniture and opulent decorations. It sits in 500 acres of landscape created by Capability Brown, which includes facilities for falconry, archery, 18 holes of golf and a mini-golf course. There is a luxurious spa. This is a very popular spot for weddings, it even has its own church. If you think you'd prefer the privacy of a self-catering option then browse though the wide variety available online with our partner Booking.com. Best time to visit Leicestershire is in the summer months, with the average daily temperature rising to 16°C in July and August. Whilst never overly busy, this is peak tourist season - so if you fancy a quieter and potentially cheaper alternative, consider visiting in May, September or October. Visitors from Europe can fly into East Midlands Airport, located 18 miles north of Leicester and served well by public transport links to the rest of the area. If you're coming from further afield you can either fly into Manchester Airport or and of the London hubs before taking the train on to your final destination in Leicestershire. Browse though our list of all the best places to stay in Leicestershire. Widen the net to search through our recommendations in Warwickshire or Derbyshire. 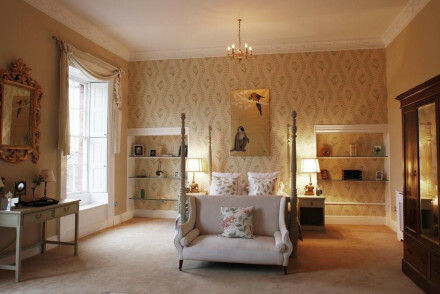 Charming, luxury B&B. Choose from just five, individually designed elegant and sumptuous rooms, each with an en-suite. Relax in the well-kept garden or get out and about- there's plenty to do in the surrounding area. Book the entire property and host a weekend or event to remember! Local markets - Visit the local market towns of Melbourne & Ashby de la Zouch. 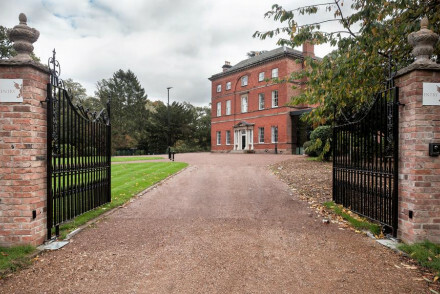 A stately mansion set in pristine parkland on the outskirts of Leicester. Bedrooms mix contemporary and traditional styles with soft hues, contemporary furniture, plush leather headboards and luxurious bathrooms. The fine dining restaurant, specialising in steak, is worthy of a visit alone. 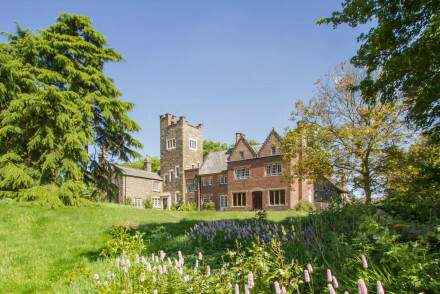 Local exploring - A smart country mansion surrounded by glorious parkland and just minutes from Leicester. Great walks - Take long walks through the 168 acres of picturesque parkland that surround the property. A chic rural pub offering luxurious accommodation and exemplary pub restaurant. A handful of individually styled rooms perfectly mix contemporary and traditional styles with exposed brick and beams, simple modern furniture and crisp white linen. A delightful rural escape. Country Escape - A country pub complete with cosy interiors, hearty food and beautiful surrounding countryside. Great walks - Take long walks through the picturesque Beacon Hill Country Park. A charming B&B set in the picturesque village of Swithland. The two rooms are light and airy with soft hues, crisp white linen and contemporary bathrooms. The welcome is warm and indulgent English breakfasts are served. A cosy spot from which to explore the local countryside. 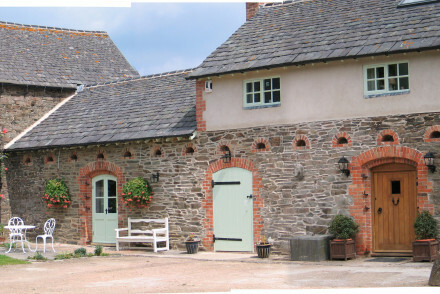 Country Escape - A charming country house surrounded by fantastic walking country. Great walks - Explore scenic walking trails running through the Charnwood Forest, Bradgate Park or Swithland Woods. 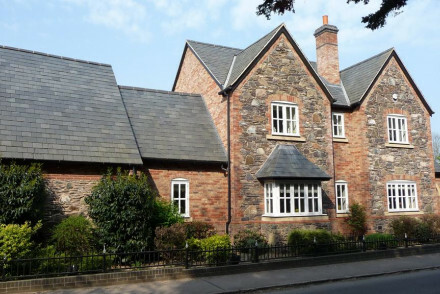 A quintessentially British home in the pretty village of Kegworth. Nine individually styled rooms have sash windows and are traditionally dressed with antique pieces and pastel hues - the best feature roll top baths. An indulgent spa and quiet position make this ideal for a relaxing weekend away. Total relaxation - A tranquil property in a quiet village complete with health club and spa. Sights nearby - Take a tour of the impressive Nottingham Castle. Set in a traditional 200 year old former farmhouse this fantastic luxury B&B has rooms with natural stone walls, ceiling beams and pretty fabrics. There is an open fire in the sitting room and beautiful gardens in which to relax. 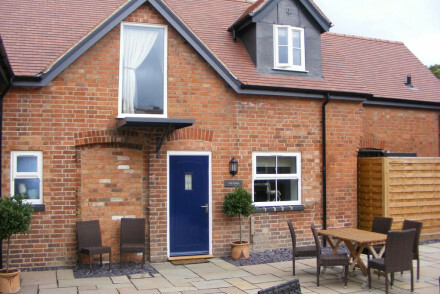 Close to Bradgate Park and wonderful open countryside. Sights nearby - There are attractions nearby such as Bosworth Battlefield and the National Space Centre. Great walks - Bradgate Country Park is just across the road and is ideal walking territory. Set amidst glorious rolling woodland, Abbots Oak Manor is a delightful country house. Boasting four elegant rooms and a characterful bar, it's a great place to relax and enjoy the rural surrounds. Sights nearby - Visit the nearby Calke Abbey. Unusual and massive Georgian country house hotel and sporting estate, popular for weddings and corporate events. Plenty of activities for the active, including golf.